Acknowledging his mistake in confusing a grainy upload from the video game Apache: Air Assault with real life footage of Russian airstrikes in Syria, leading Egyptian strategist Ahmed Moussa led off his his daily talk show with exclusive video showing Russian ground troops entering the contested city of Homs. 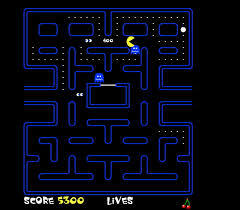 In the video still, Russian commandos disguised as Pac-Man can be seen literally eating up enemy troops. "The ability to swallow up U.S.-Saudi-Qatari-Turkish conspirators Blinky, Inky, Pinky and Clyde with a single power pellet, and also devour the enemy-planted cherry, reveals the powers of Russian troops" declared Moussa. Moussa predicted the ground operations would be over after Level 9.